Today I planted a flower box under my window in the backyard. I was inspired by a photo on Pinterest. I decided to go with pink, white and green and the flowers I used are impatience, ranunculus, bacopa and ivy. 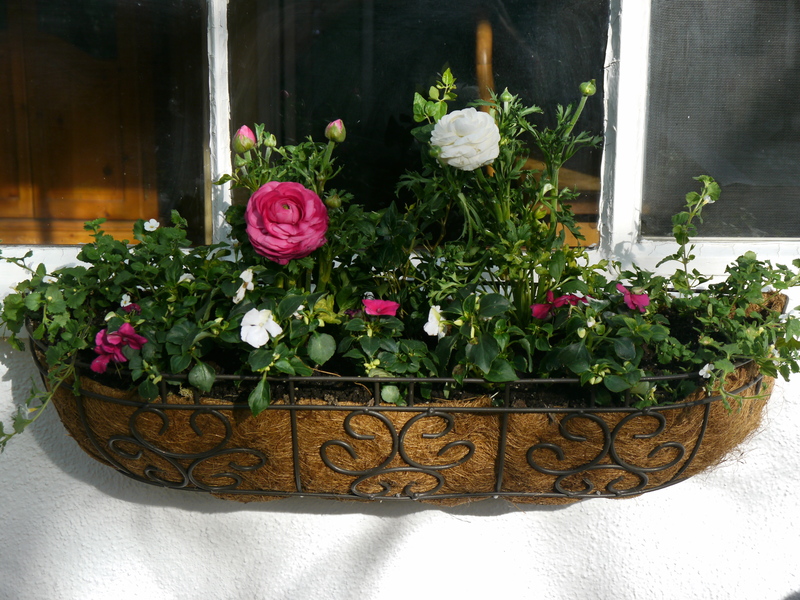 I bought the window planter at Osh and used 2 screws to mount it into the window sill.